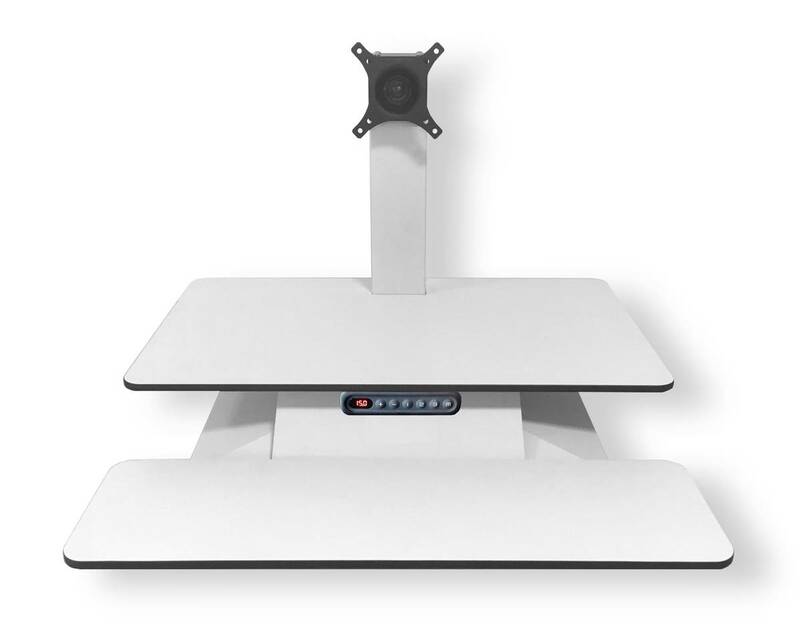 Standesk operates using an electric motor to adjust the telescopic adjustment inside the leg that allow for smooth movement of the desk surface. A3 memory adjustment panel is conveniently positioned in front of the user, make the lifting process effortless to adjust, even fully loaded. - Simple, quick and easy height adjustment - just by touching a button. - 3 memory height positions as well as an up/down button – just press the button to make the unit go to any pre-determined position without having to hold the button. 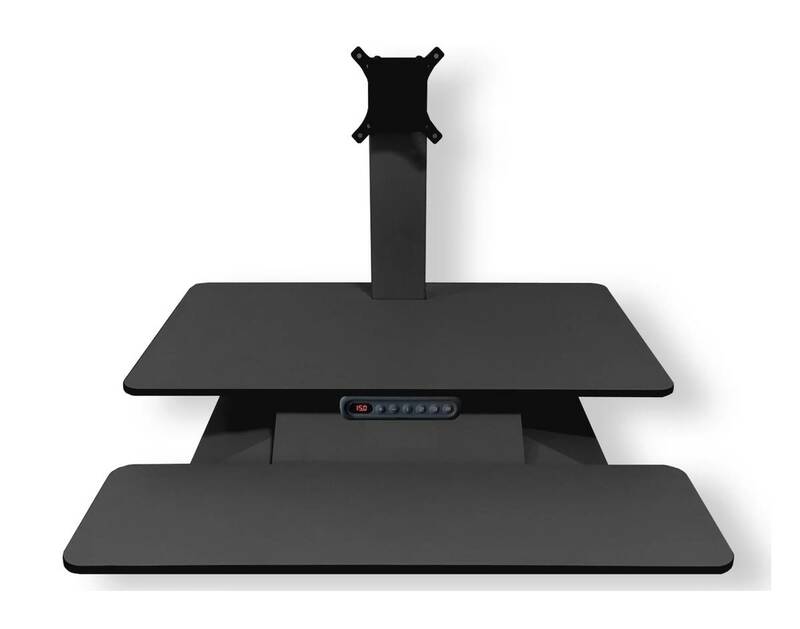 - Sits on top of an existing desk, no need to add additional expense buying another desk. - No pinch points for personal safety, and eliminates the possibility of power cords being cut creating an electrical hazard and electric shock. - Go anywhere, transportable and compact especially if you change work area or re-location. - Angle/swivel adjustment for monitor arm included. NOTE: this can be reversed to increase the height of the monitor for taller users during assembly. - Colours available in White and Black. - IMac convertible using a VESA mount adapter kit for iMac. - Available in single and dual monitor displays. 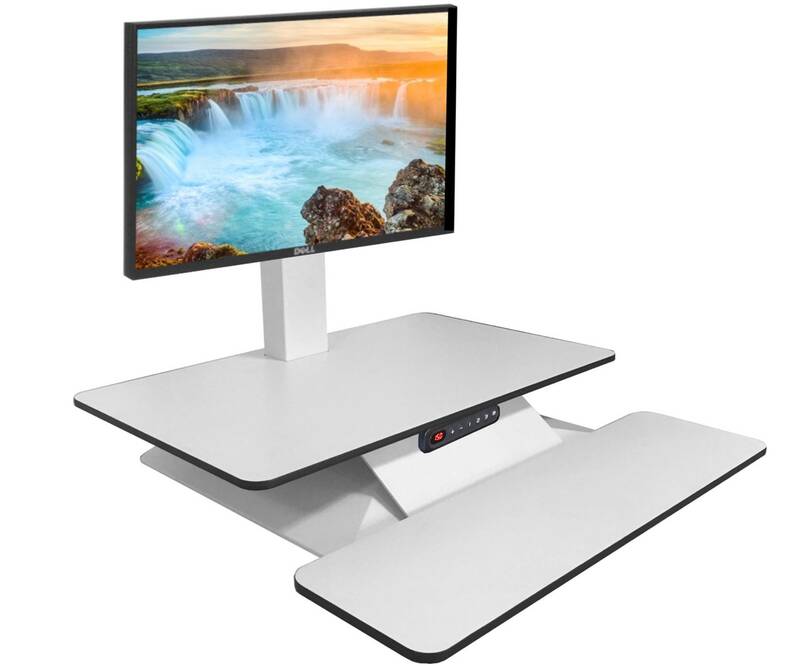 - Desktop uses Compact Laminates which are an innovative and durable decorative panel made from thermosetting resins, ho- mogeneously reinforced with cellulose fibres and manufactured under high pressure and temperature. As such, the panels are strong, self supporting, moisture resistant and durable. 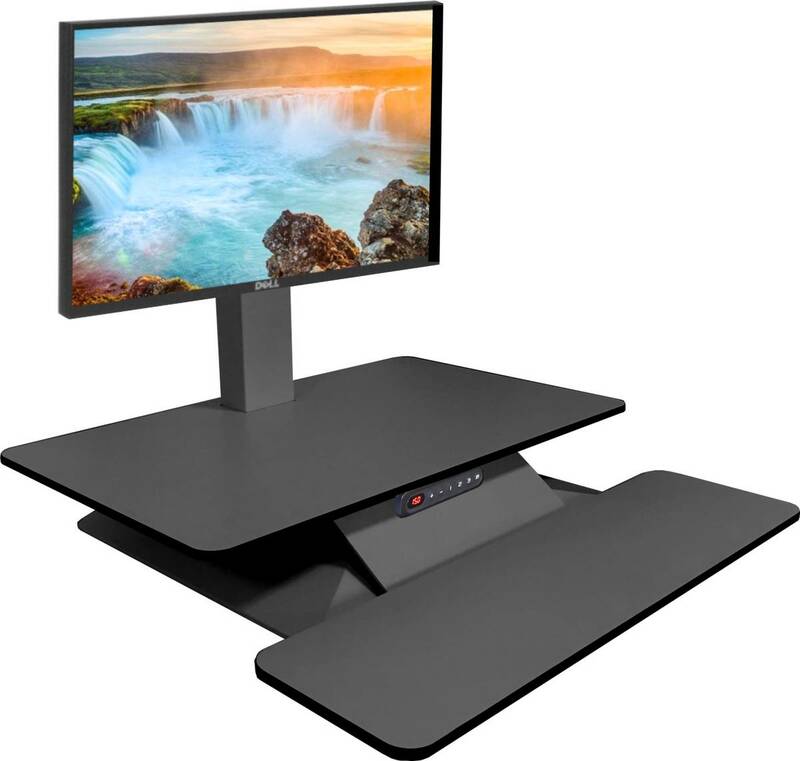 - Dual Monitor bracket accessory will allow you to mount 2 monitors to work simultaneously. - Vesa brackets are adjustable for swivel and angle. 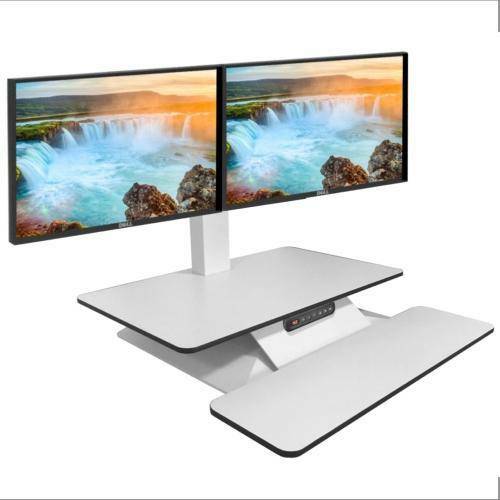 - Pole Length: 675mm (Pole size: L675mm x W55mm)Recommended for LCD monitors up to 27"
Not only is the Standesk a great way of reducing fatigue and other health issues, it can also be used where there is a requirement for people of different sizes to operate at the same location at different times. The Standesk is a perfect solution. Research has proven the dangers of sitting for long periods of time. The more we sit, the greater chance we have of becoming overweight or obese and developing heart disease and type 2 diabetes.